Lee Hammack and his wife JoEllen Brothers thought they had a great insurance plan. Now, their cost is more than doubling to $1,300 a month, with higher out-of-pocket costs. Since 1995, Hammack and Brothers have received their health coverage from Kaiser Permanente, where Brothers worked until 2009 as a dietitian and diabetes educator. 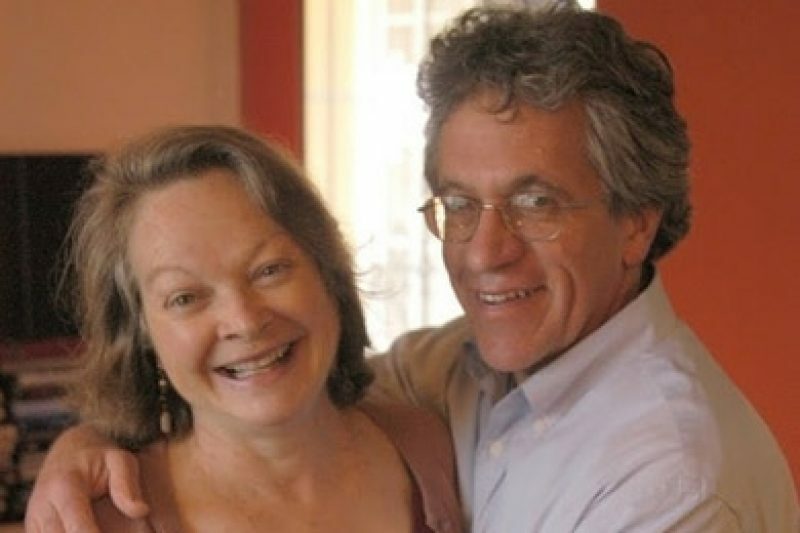 “We’ve both been in very good health all of our lives – exercise, don’t smoke, drink lightly, healthy weight, no health issues, and so on,” Hammack told me. “From all of the sob stories I’ve heard and read, ours is the most extreme,” Lee told me in an email last week. I’ve been skeptical about media stories featuring those who claimed they would be worse off because their insurance policies were being canceled on account of the ACA. In many cases, it turns out, the consumers could have found cheaper coverage through the new health insurance marketplaces, or their plans weren’t very good to begin with. 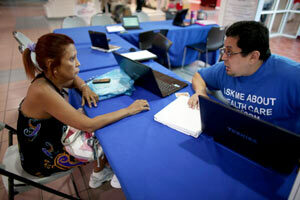 Some didn’t know they could qualify for subsidies that would lower their insurance premiums. So I tried to find flaws in what Hammack told me. I couldn’t find any. The couple’s existing Kaiser plan was a good one. Their new options were indeed more expensive, and the benefits didn’t seem any better. They do not qualify for premium subsidies because they make more than four times the federal poverty level, though Hammack says not by much. When they shopped around and looked for a different plan on California's new health insurance marketplace, Covered California, the cheapest one was $975, with hefty deductibles and copays. In a speech in Boston last week, President Obama said those receiving cancellation letters didn’t have good insurance. “There are a number of Americans — fewer than 5 percent of Americans — who've got cut-rate plans that don’t offer real financial protection in the event of a serious illness or an accident,” he said. I called Kaiser Permanente and spoke to spokesman Chris Stenrud, who used to work for the U.S. Department of Health and Human Services. He told me that this was indeed a good plan. Patients in the plan, known as 40/4000, were remarkably healthy, had low medical costs and had not seen their premiums increase in years. “Our actuaries still aren’t entirely sure why that was,” he said. Kaiser has canceled about 160,000 policies in California, and about one third of people were in plans like Hammack’s, Stenrud said. About 30,000 to 35,000 were in his specific plan. That’s little comfort to Hammack. He’s written to California’s senators and his representative, House Minority Leader Nancy Pelosi, D-Calif., asking for help. 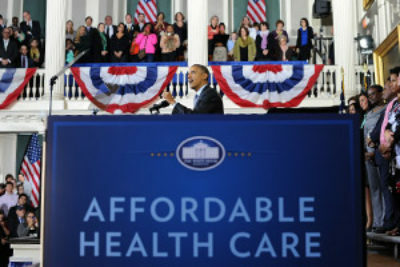 “We believe that the Act is good for health care, the economy, & the future of our nation. However, ACA options for middle income individuals ages 59 & 60 are unaffordable. We’re learning that many others are similarly affected. In that spirit we ask that you fix this, for all of our sakes,” he and Brothers wrote. Consumer advocate Anthony Wright said it’s important to remember the way the insurance market worked before the act was passed, when insurers could deny coverage based on pre-existing conditions. “It’s impossible to know what the world would have looked like for these folks in the absence of the law,” said Wright, executive director of the group Health Access. “We certainly had an individual market, especially in California which was the Wild Wild West, where there was huge price increases, cancellations, a range of other practices. Wright said discussions should focus on how to provide consumers like Hammack with assistance if they barely miss qualifying for subsidies. So what is Hammack going to do? If his income were to fall below four times the federal poverty level, or about $62,000 for a family of two, he would qualify for subsidies that could lower his premium cost to as low as zero. If he makes even one dollar more, he gets nothing. That’s what he’s leaning toward — lowering his salary or shifting more money toward a retirement account and applying for a subsidy.